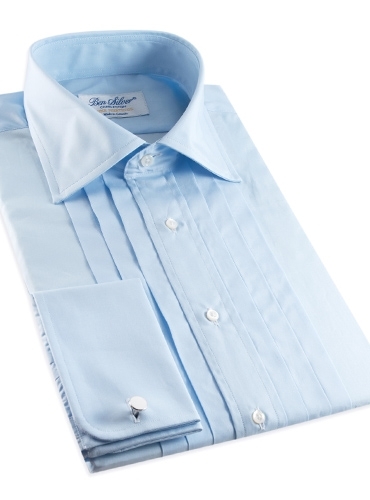 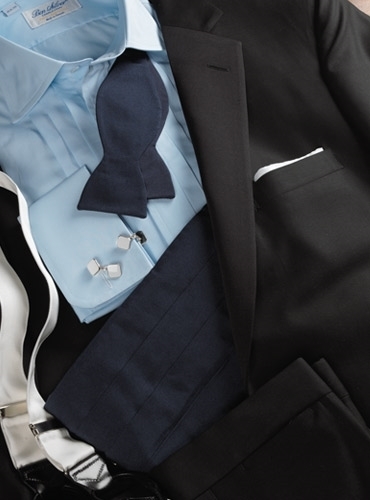 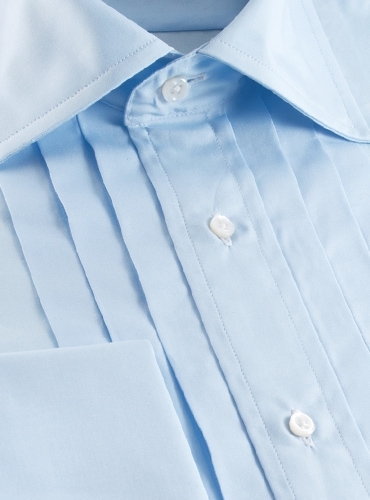 Our classic pleated tuxedo shirt in blue is an essential addition to any gentleman's wardrobe. 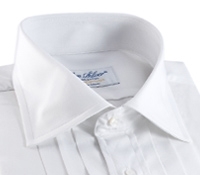 Cut in our Canadian workroom from the finest 2-ply cotton broadcloth milled in Italy. 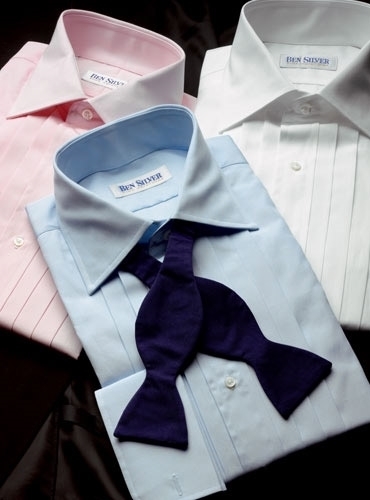 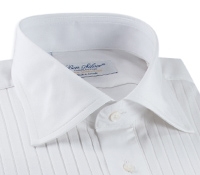 Features deep turn down collar, full pleated front, and French cuffs. 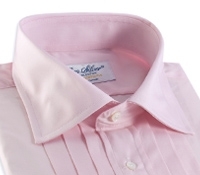 Also available in white, 500; or pink, 503.